I’ll have a SWEATSHOP account set up on Eat24Hours.com, a website that acts as a portal to every delivery restaurant with an online menu. You, the Sweaty Victims Unit, will be able to order food directly to the studio in order to sustain the artists during our long haul. Bay Area locals are welcome to drop sustenance off in person, and come in for a studio visit. 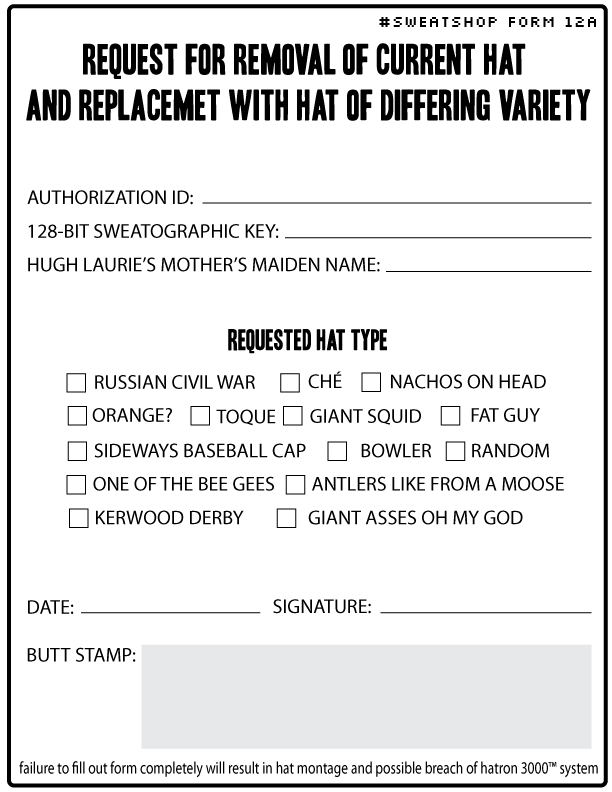 Do not forget to file the proper forms.